Emily Bottom V-land Blueberry. 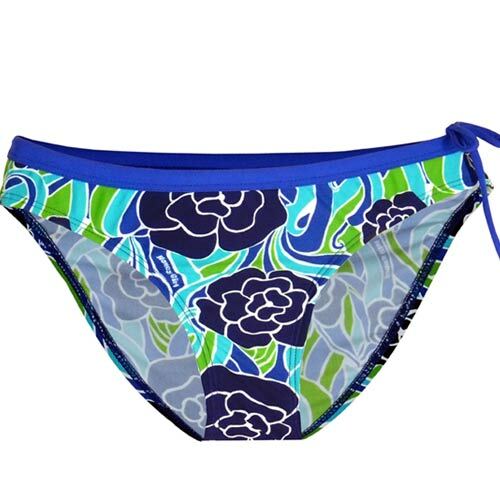 Front lined, with solid Cobalt waistband. Fold over 3/8″ elastic around leg for a secure fit. Adjustable drawstring waistband ties at the side. Mid-rise, full rear coverage.